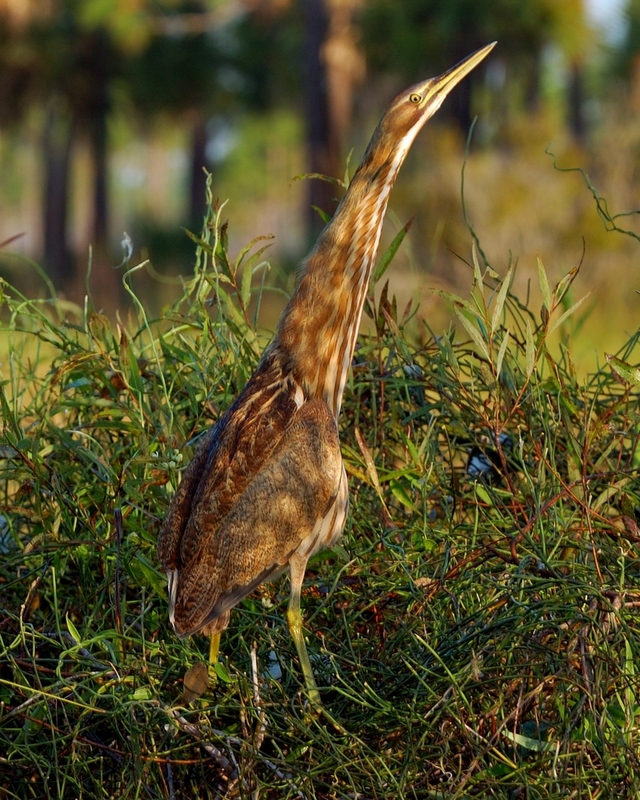 Speaking of the Sora at Ollies Pond reminded me of another reclusive marsh dweller. 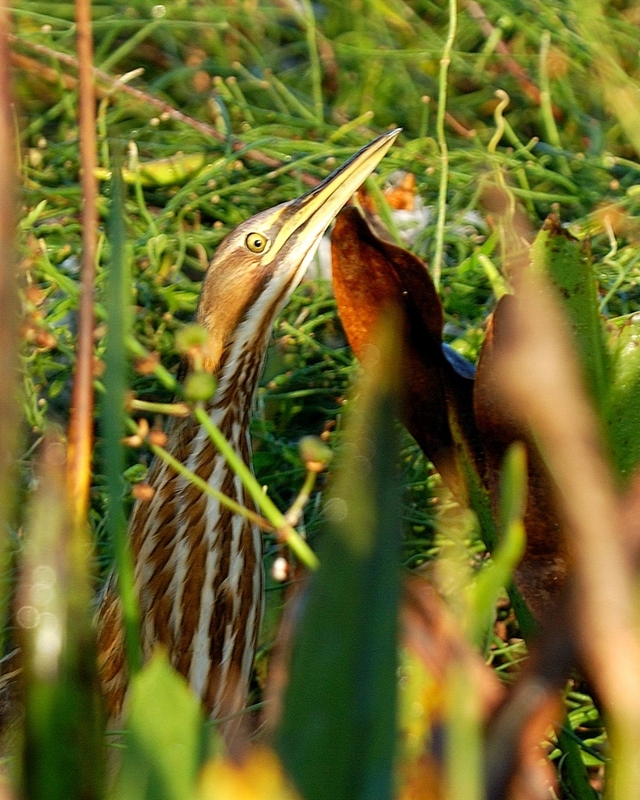 The American Bittern is a bird of the heron family. It is about the size of the Little Green Heron but in a less distinctive plumage. When frightened, it stands absolutely still with it’s neck extended upward trying to look like the reeds it inhabits. It’s coloration helps a lot in that as you can see. This one was found along Tram Grade in the Babcock-Webb Wildlife Management area near Punta Gorda. 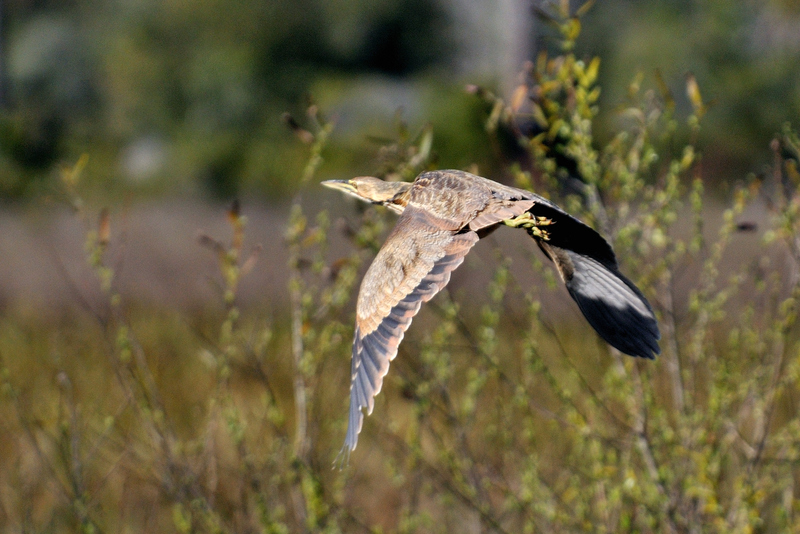 This entry was posted in Bird and tagged American Bittern, Babcock-Webb WMA, Photography. Bookmark the permalink.